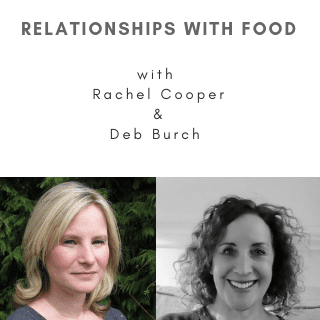 In this episode we are talking to Rachel Cooper and Debbi Burch about food and our relationship with it. What does a healthy and unhealthy relationship with food look like and how can we tell if someone else has an unhealthy relationship with food. We also discuss how we can change our relationship with food and talk about their upcoming workshop on Food, Hunger, Longing and the body.